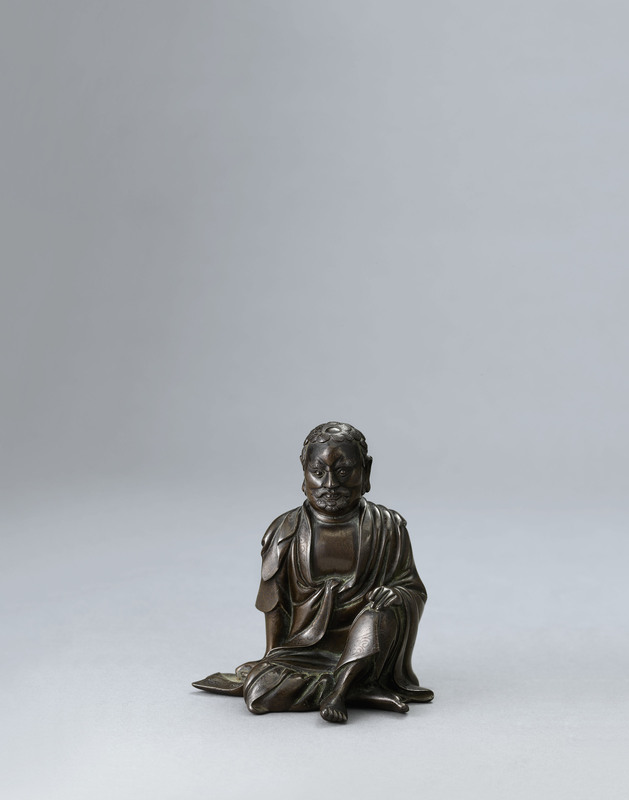 The figure is well cast with his face looking forward bearing a benevolent expression, seated with one leg tucked under the other, his right arm supporting his body, and his left resting on his raised left knee. The loose flowing robes are open at the chest and are incised with foliate and scrolling patterns along the hems. There are traces of malachite encrustation on the surface.